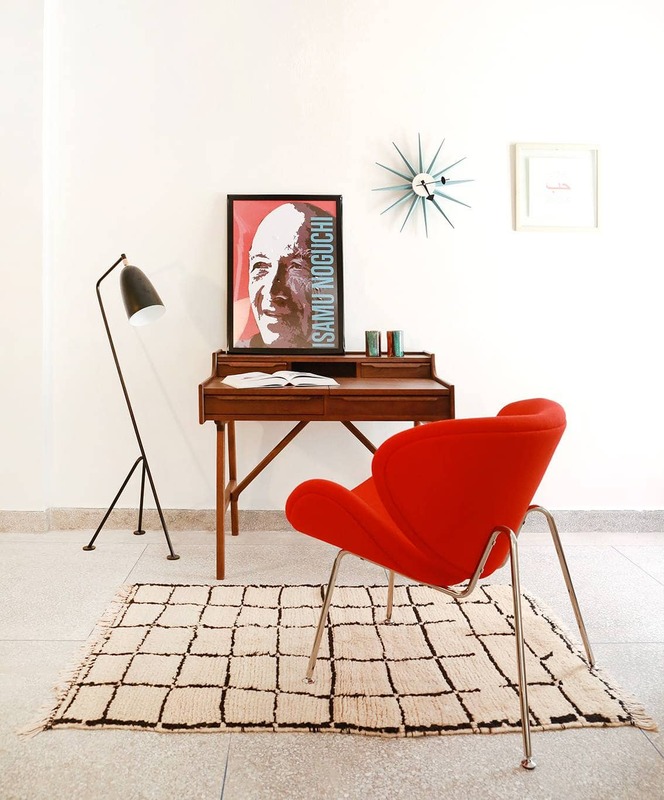 We offer a wide selection of authentic rugs from various moroccan tribes, that fit perfectly in the miderndecoration and interiors: patterns with clean lines compatible with vintage or design furniture, as well as country style interiors. Our lines of products match well Children's bedrooms, as well as more classical styles. Our passion is also to enhance the traditional creativity expressed by our Weavers and allow it to be transmitted from one generations to the next. Those symbolic or abstract patterns are specific of the Moroccan Berber culture. The weaver fish into her personnal inspiration and creates through the weaving a particular painting of her life, enlighting some of her emotions or unuttered thoughts. Houda : responsible for sales within the store and managing transportation. Faïza : in charge of managing the manufacturing and sourcing. She handles business development as well as the accounting and the online business. Aziz : in charge of the packaging, Handling the stock in and out the store, and carpet maintenance. Nicolas : he makes beautiful shootings, very elegant shop window conceptions and subtil graphic designs . Isabelle : she is an architect from Belgium DPLG, she designed the store, the store furniture and some of our creative rugs.